On Thursday, 13 Rabi` Al-Thani, 1440 A.H., corresponding to 20 December 2018 A.C., the activities of the Best Voluntary Work Competition at the level of Umm Al-Qura University colleges for the years 1439 - 1440 A.H. were launched. Eight colleges applied to participate in the competition, presenting the voluntary work they have provided during the last two years, from 1438 A.H. to 1440 A.H. 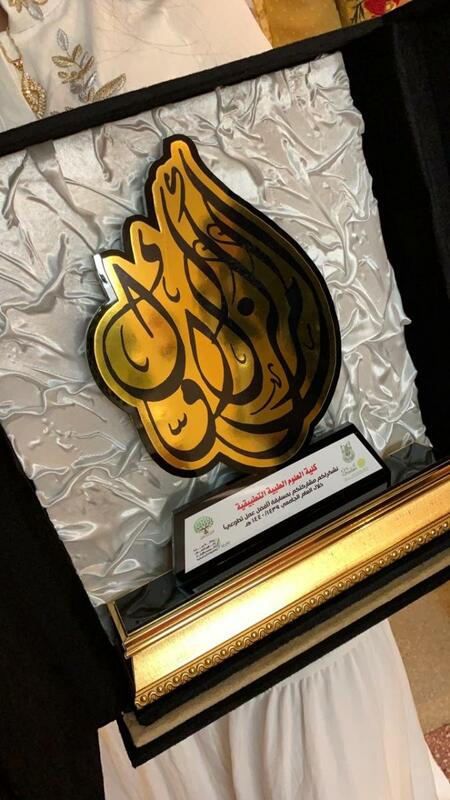 The colleges who participated in the competition include the College of Applied Medical Sciences, the College of Medicine, the College of Islamic Economics and Finance, the Islamic Education Department at the College of Education, the Department of Qur'anic Recitation at the College of Da`wah and Fundamentals of Religion, the English Language Department at the College of Social Sciences, the Department of Mass Communication at the College of Social Sciences, and the Jamoum University College. 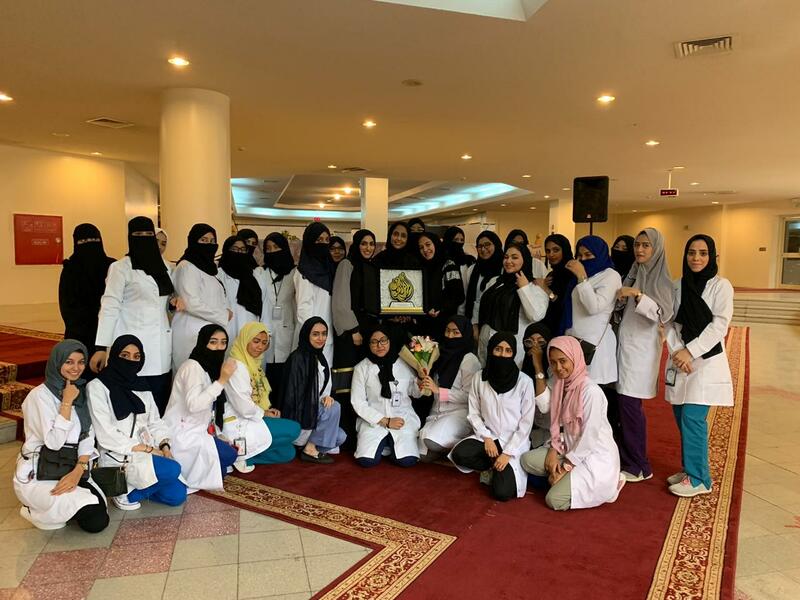 The community of the College of Applied Medical Sciences (FAMS-UQU) is pleased to congratulate all its affiliates and students for winning first place in 'The Best Voluntary Work' competition, which was held in honor of the UQU Vice-President for Female Student Affairs, Dr. Sarah bint Omar Al-Khuli, with the participation of all the UQU colleges and departments. 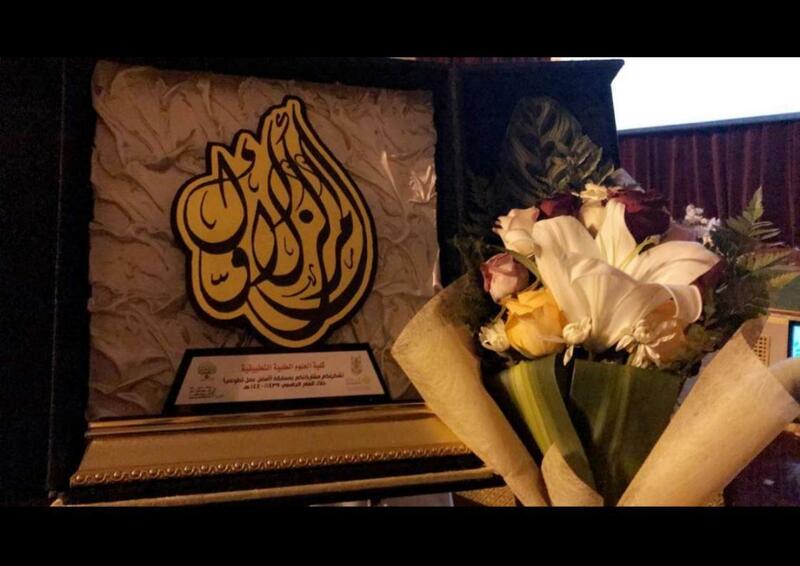 The College is proud to share with you its joy for winning first place, and extends sincere thanks and appreciation to its members, including the female affiliates, students, and graduates, for their support by attending this honoring ceremony. To watch this year's video on volunteering (1438 - 1440 A.H.), please click here.